One of the most critically acclaimed albums of the eighties, nominated for both BRIT and Grammy Awards, Flowers In The Dirt saw Paul team up with Elvis Costello to co-write a third of the album (‘My Brave Face’, ‘You Want Her Too’, ‘Don’t Be Careless Love’ and ‘That Day is Done’) as well as boasting production credits from producers such as Mitchell Froom, Trevor Horn, David Foster, Steve Lipson, Elvis Costello and Paul himself. Pink Floyd guitar legend David Gilmour makes an appearance on ‘We Got Married’ and George Martin’s string arrangement on ‘Put It There’ is amongst the many album highlights. 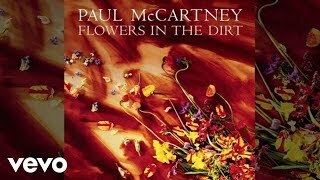 The Flowers In The Dirt Deluxe Edition Box Set will undoubtedly be yet another crown jewel in the collection of any Paul McCartney fan. In addition to its wealth of audio and video content, exclusive features of the Deluxe Edition include a 32-page notebook of Paul’s handwritten lyrics and notes, a catalogue for Linda McCartney’s 1989 Flowers In The Dirt photo exhibition, a 64 page photobook featuring the music videos for ‘This One’, and a stunning, custom-created 112-page book telling the complete story of the album through exclusive in-depth interviews with Paul, Elvis Costello and other key contributors. Along with expanded track-by-track information, the book contains album and single artwork as well as previously unpublished photographs by Linda McCartney. The Deluxe Edition also includes, as digital downloads only, three unheard cassette demos, ‘I Don’t Want To Confess’, ‘Shallow Grave’ and ‘Mistress And Maid’ as well as a collection of original B-sides, remixes and single edits. The DVD that comes with the Deluxe Edition includes all the music videos from the album, three new short films with unseen archive material that show some of the creation process of the album and the documentary ‘Put It There’ originally released on VHS in 1989 – a behind-the-scenes look at the making of Flowers In The Dirt as well as featuring live performances from his 1989 World Tour. The 2 LP Edition also comes with a digital download version. The first LP includes the remastered album but in keeping with the original vinyl release doesn’t include ‘Où Est Le Soleil?’ (this track will be available with the accompanying digital download). 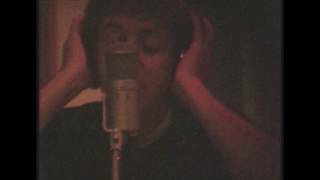 The second LP includes Paul and Elvis’s previously unreleased original demos.